Storytime: Prince and Pirate Party! Library EventStorytime: Prince and Pirate Party! 04/29/2019 10:30am 04/29/2019 11:00am Storytime: Prince and Pirate Party! 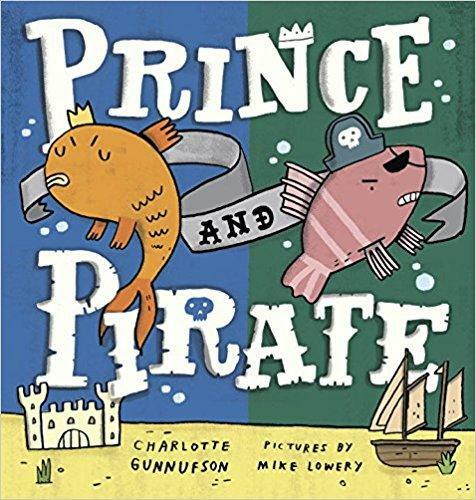 Join us for a very special all-ages storytime with Charlotte Gunnufson, author of Prince and Pirate! Charlotte will read her book (published by Putnam in 2017), and we'll learn the story of two little fish who clash over sharing the same tank - their hilarious duel for territory is sure to elicit gales of giggles. We'll also do some moving and grooving as we dance along to the Prince and Pirate theme song, participate in some fun, "fishy" games, and end with a craft. Goldfish (crackers) will also be served. It's a Prince and Pirate party you won't want to miss, in honor of National Children's Book Week!